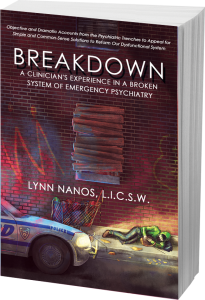 Breakdown: A Clinician’s Experience in a Broken System of Emergency Psychiatry - Paul Golden M.D. I have not seen a book about the seriously mentally ill (SMI) from the eyes of a licensed clinical (psychiatric) social worker. Ms. Nanos writes about the broken system that provides no way out for those with SMI defined as those with schizophrenia who do not know they are sick (anosognosia) and those afflicted with bipolar disease with psychotic mania. 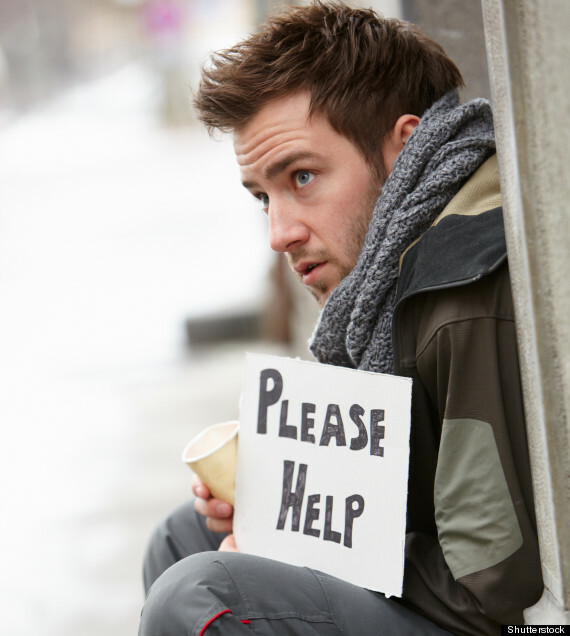 Even Assisted Outpatient Treatment (AOT) in 47 states has huge cracks. I have not seen a book about the seriously mentally ill (SMI) from the eyes of a licensed clinical (psychiatric) social worker. Ms. Nanos writes about the broken system that provides no way out for those with SMI defined as those with schizophrenia who do not know they are sick (anosognosia) and those afflicted with bipolar disease with psychotic mania. Even Assisted Outpatient Treatment (AOT) in 47 states has huge cracks. She provides touching and gritty vignettes in each chapter that may seem isolated but are epidemic in our society. I hear the stories from the providers and in the voices of the families who do not know where to turn when their loved ones turn violent and end up in the vicious cycle of homelessness, incarceration, to short term or no placement in poorly funded psychiatric facilities and then cycle back and forth due to for lack of long term facilities. Then there is the stark absence of short-term halfway houses such as board and care facilities for just such cases. She adds chapters on schizophrenia, borderline personality disorder, first responders, bipolar disorder, suicide and stigma. This is a well-written read not only for professionals but also for the public maybe more for the latter. 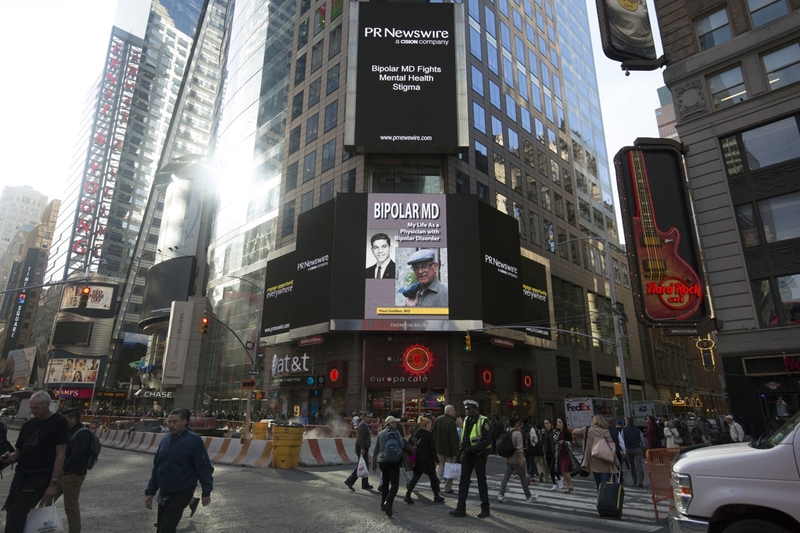 I write this as one who has suffered, triumphed but will be never be cured from bipolar disease as a nephrologist and now an advocate. Kudos to you Ms. Nanos.